Antillero !! We have prepared another great holiday !! 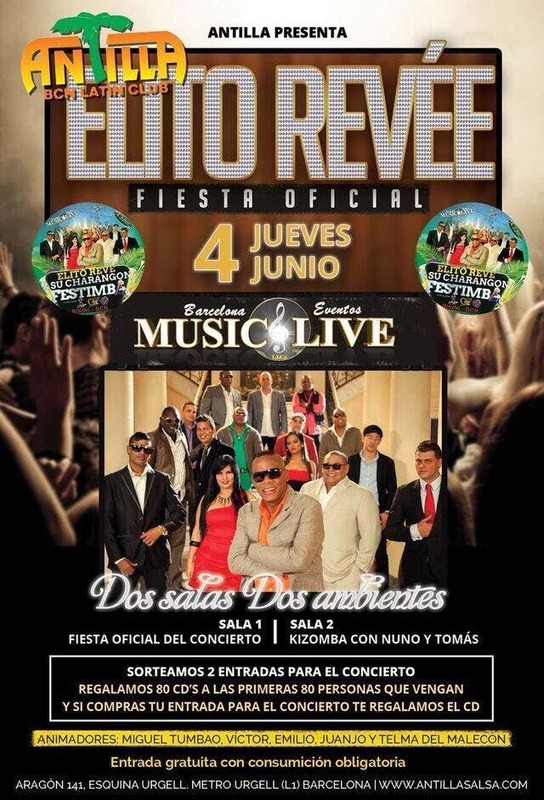 We are pleased to invite you, next Thursday, June 4, at the official party about the concert of Elito Revé. Come and participate in the raffle draw to concert and also ... We will give a present of 80 CD's to the first 80 people who come!!! Room 1 with DJ and DJ ADAMS NED and animations EMILIO, Miguel, Victor and JUANJO And TELMA the Malecon. Room 2: Kizomba rhythm of Nuno and Thomas. Remember you can buy your ticket for the concert in our room and with your entry we will give you a CD !! !